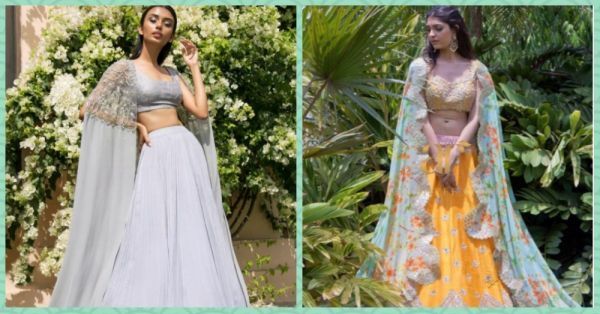 Okay, so Ridhi Mehra’s latest collection is now out, and the designs are a gorgeous mix of modern chic and Indian aesthetics. They are so lovely, we can’t even… You get it, right? This outfit, with it’s beautiful shade of grey and the super pretty cape sleeves, is the height of gorgeousness, isn’t it? You’ll see a lot of tassels, embellishments and feminine, pastel colours in this beautiful collection. Abu Jani and Sandeep Khosla’s designs are the epitome of intricacy and detailing, and this one is no different! It’s everything anyone could ask for in a wedding lehenga and much more! The colour, the work, everything is just perfect! Talking of pretty wedding lehengas and leaving Sabyasachi out of the list is a crime against wedding fashion (oh yes, it is!). This simple yet elegant design from Sabya’s bridal collection is making our hearts melt, like always TBH! Alia looks just out of the world in this gorgeous Manish Malhotra ensemble. 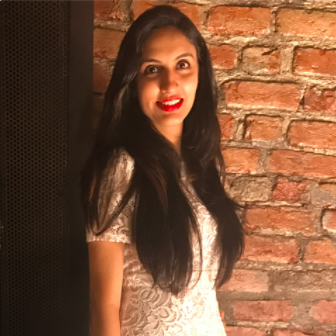 She donned this lehenga at the IIFA Rocks 2017 event, and made all heads turn. Well, obviously! Alia’s grace and Manish’s designs are a lethal combo people! Nobody does floral designs as amazingly as Anushree Reddy. In fact, she always finds new ways of wowing us with her signature floral prints. The subtle blast of colours and those uber stylish sleeve designs. Oh-so-gorgeous!